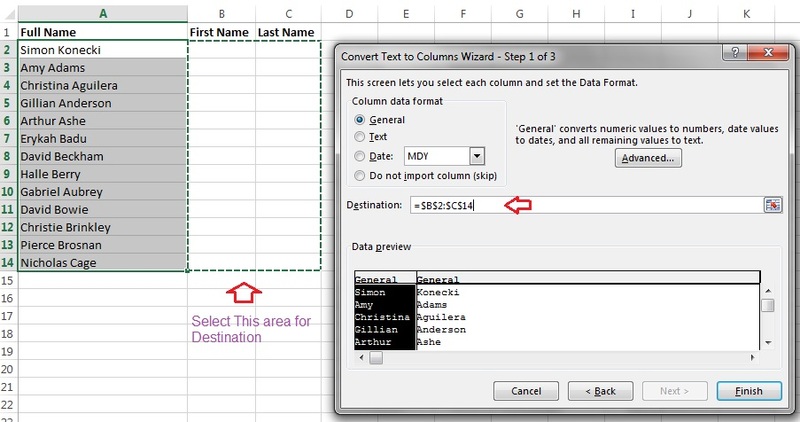 So, If you have Data as in Column A and Wanted to split into Column in B & C as below, then use this super cool “Text To Columns” feature in Excel. First Select Column ‘A’ Column cells from A2 to A14. In Data ribbon Tab as below inside ‘Sort & Filter’ panel Click on ‘Text to Columns’ Button. As ‘Space’ is there in Full Name between First and Last name, choose Delimiters as ‘Space’. Uncheck other delimiters if selected by default & click on Next button. 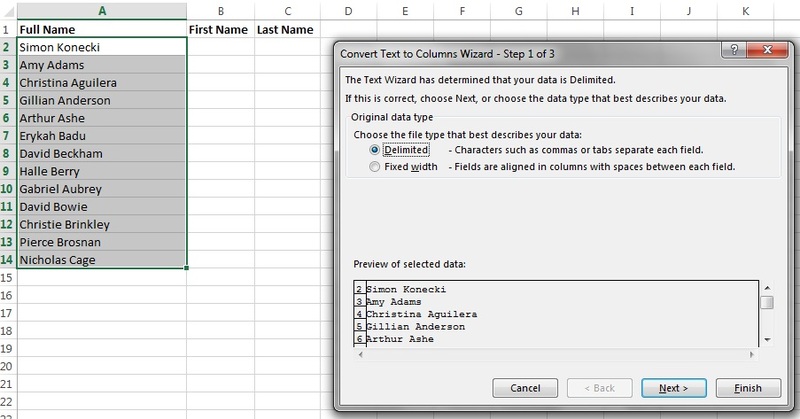 Select First Name and Last Name Column cells area from B2:C14 & then Click on Finish Button.